California boasts flourishing farmlands rich in many crops such as avocados, pistachios, artichokes, olives, apples, citrus, you name it, but it is certainly acclaimed for its grape growing regions. I am fortunate enough to be just an hour drive away from Southern California’s own Temecula wine country. A long stretch of wineries and vineyards dot the rolling-hilled landscape over a dozen miles inland. With over 30 wineries to choose from, both big & small, there is sure to be a varietal for every taste. 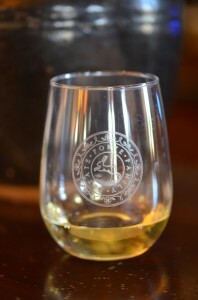 I have been to many of these great tasting rooms and there are a few I make a point to visit. 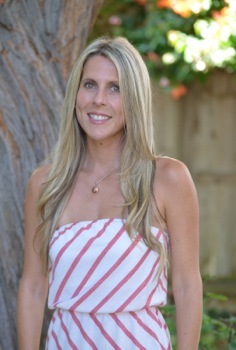 However, there is one winery in particular that is my primary tasting destination – Ponte Family Estate Winery. 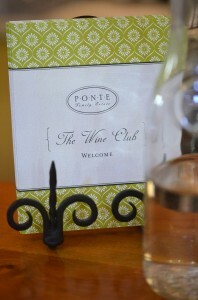 I first visited Ponte back in college and was immediately taken by there beautiful property and large tasting room. It really feels like more of a large wooden country home, with vaulted airy ceilings, beautiful displays of boutique gifts and gourmet items, and a staff that warmly welcomes you to share a tasting! Two large counters oppose the wide reception room, and it is always hopping with visitors. They are also conveniently open 7 days a week, but the weekends are the busiest. I used to be a wine club member many years ago, and for one reason or another stopped for several years. My recent trip back made me realize I was long overdue to be a part of the Ponte family! I eagerly signed up again, and now am happy to receive club tasting benefits and a selection of awesome wines every other month. Not only does Ponte offer amazing reds and whites, they have a fantastic, award-winning restaurant on site. Situated on their outside patio, the restaurant serves fresh, farm-to-table wine country cuisine, and don’t worry if it’s a hot day, because they have a covered space & outside misters to keep you cool. The newest addition to the Ponte Estate is a beautiful boutique wine country Inn, with food service and even a popular downstairs, night time bar. 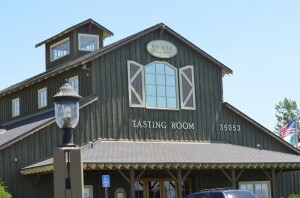 Now you can take your time tasting, and make Temecula into a weekend excursion! Their beautifully landscaped estate is a destination for many weddings, events, live music, and for those looking to spend a beautfiful afternoon, strolling through gardens and sipping CA wine. I managed to grab some photos, which help capture a little of their gorgeous estate, but first let’s talk about some good wine, shall we? If you will be visiting Temecula any time soon, make it a point to visit Ponte, taste, relax and have a nice lunch or dinner. Oh, did I forget to mention to try their cheese platter with fresh honeycomb? Shame on me, definitely don’t forget that! I know you won’t regret it, and will be leaving with a bottle for home. If you aren’t in the area, check them out online and you can order directly. I have to say with Fall approaching, I can’t think of a better addition for my table with friends!